A misty view at Bunnahabhain Bay. 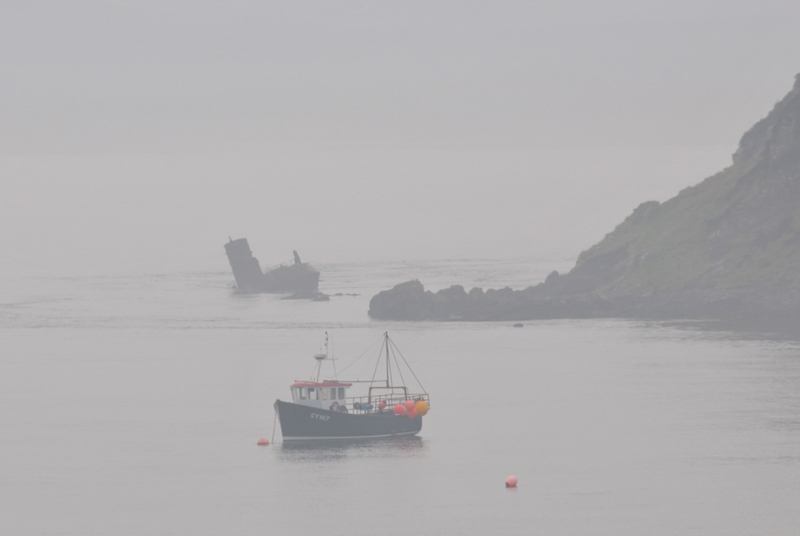 The wreck of the Wyre Majestic in the background, at the foot of the rocks. In the foreground a local fishing boat moored at a buoy. This entry was posted in Cloudy Weather, Landscape, Repost and tagged Bunnahabhain, Fishing Boat, Islay, Sound of Islay, wreck, Wyre Majestic by Armin Grewe. Bookmark the permalink.